The property landscape in the UAE will get a much-needed stimulus if the Central Bank of the UAE lowers existing loan-to-value (LTV) ratios to facilitate home ownership for those unable to afford the current mortgage deposit requirements, according to experts. Real estate professionals and participants have been increasingly vocal in urging the central bank to take up the initiative amid signs of a slowdown in the property market across most asset classes, according to a report released by Asteco. The realty sector has welcomed the introduction of new initiatives, such as rent-to-own schemes and crowd funding. “We believe these developments have the potential to absorb some of the pent-up demand from end users and first-time buyers,” said John Stevens, managing director of Asteco. In Dubai, the market has seen a substantial delay in project handovers, mainly resulting from project delays and overly ambitious handover schedules, according to a just-released Asteco survey. A sizeable number of units previously forecasted for completion in first half 2018, will only be ready in 2019. 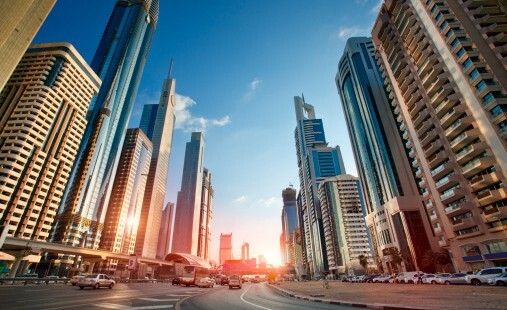 Dubai’s new inventory added in third quarter 2018 comprises 3,850 apartments and 570 villas and townhouses, bringing the total for the year to date to just over 12,000 residences, with projections for the final quarter in line with these figures, according to the UAE Real Estate Report Q3 2018 report from Asteco. Across the UAE, rental rates and sale prices of commercial and residential properties dipped in the third quarter, said the report. In Dubai, villa and apartment rental rates dropped by three and two per cent respectively since the second quarter, “maintaining the downward trajectory” observed over the past quarters. The decline of residential sales prices has been more pronounced at four per cent. Office rental rates also declined five per cent in the third quarter following a period of relative stability as a result of new supply and limited, if not negative, business and employment growth. The report noted that in Dubai neighbourhoods with high handover volumes, both within the city as well as across surrounding developments, recorded the sharpest rental rate downturn and a significant rise in tenant turnover. Stevens said rental rates across all asset classes are expected to come under further pressure this year, and this trend is likely to spill over into early-2019. However, some property analysts are optimistic that the real estate sector would be a fillip following a series of residence visa reforms introduced by the government. In Abu Dhabi, apartment sales prices witnessed a marginal decline of one per cent over the third quarter of 2018, mainly due to the limited demand for completed units available within the secondary market, translating into low transactional volumes. “However, off-plan and newly completed properties fared better and continued to generate interest,” said the report released just ahead of Cityscape Global. While apartment rental rates in Abu Dhabi fell by an average of three per cent, with the highest drop reported for mid- and lower-end properties, villa rental rates followed a similar trend with a quarterly decrease of one per cent. The demand for office space remained limited. While the average rental rates softened by one per cent over the last three months, some mid- to low-end commercial buildings recorded significant annual declines of up to 10 per cent. In Al Ain, the overall subdued market activity has resulted in relatively static rental rates in third quarter 2018 across most asset classes, with moderate annual drops of six per cent for apartments, and five per cent for office and retail rents. In the Northern Emirates, apartment rental rates reported an average quarterly decline of four per cent, with Ras Al Khaimah and Ajman taking the lead with 6 per cent, followed by Sharjah and Fujairah with three per cent, while Umm Al Quwain rates softened marginally by one per cent. In Sharjah, office rental rates continued their downward trend with quarterly and annual reductions of three per cent and eight per cent on the back of low demand.